ISLAMABAD, Oct 12 (APP):With the visit of President House by the students belonging to various districts of Balochistan, the doors of Aiwan-e-Sadr, as per promise, were opened for general public and students on Friday. President Dr. Arif Alvi welcomed the students at the Aiwan-e-Sadr and said youth were the future of country. He urged the students to fully focus on their studies so that they could play their effective role in the country’s development. 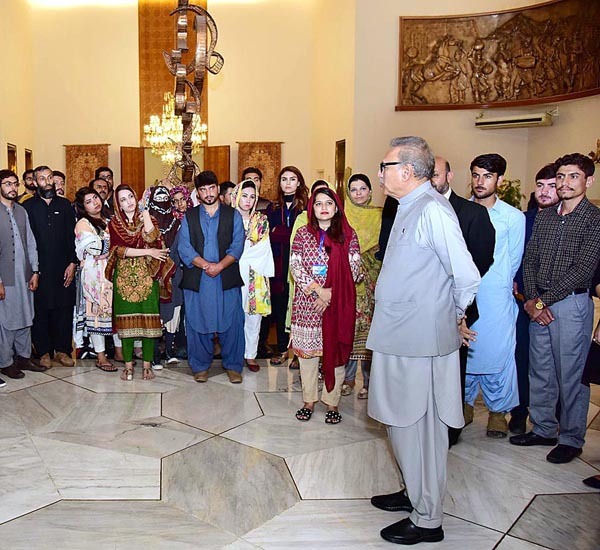 The students, who were shown various parts of the Aiwan-e-Sadr, expressed their pleasure and thanked the President for providing them this opportunity.